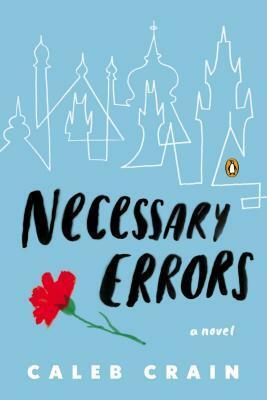 I received a review copy of Caleb Crain’s novel Necessary Errors in exchange for an honest review. Jacob Putnam is a young expat teaching English in the Czech Republic. He went there because he was inspired by the ideas of the revolution, but he’s too late, and instead witnesses the country’s transition from socialism to capitalism. The plot of the novel isn’t exciting, but it isn’t meant to be. It’s supposed to capture the atmosphere of what it was like to be in Prague during a transitional period, and the characters’ own lives and experiences are a reflection of the country’s. We see Jacob searching for love and companionship in a gay nightclub, only to become disillusioned by the people he meets as he finds out why they’re really there. We see characters who feel lost, wondering if Prague is the right place for them or whether they should travel to a different country. We see relationships form between different members of the expats’ social circle. Each character discovers the fine line between possibility and reality as they meander through their lives with no destination in mind. Even the city itself is in a transitional period, and the transition between socialism and capitalism is portrayed simultaneously as freedom and lost innocence. Even though the plot is slow, Crain’s writing creates a vivid atmosphere, and it’s the kind of atmosphere that I’d like to be a part of. Necessary Errors reminds me of my own experience studying abroad in Russia. The descriptions of daily life in Prague make me miss Eastern Europe, and make me hope that I might one day be able to travel there again.